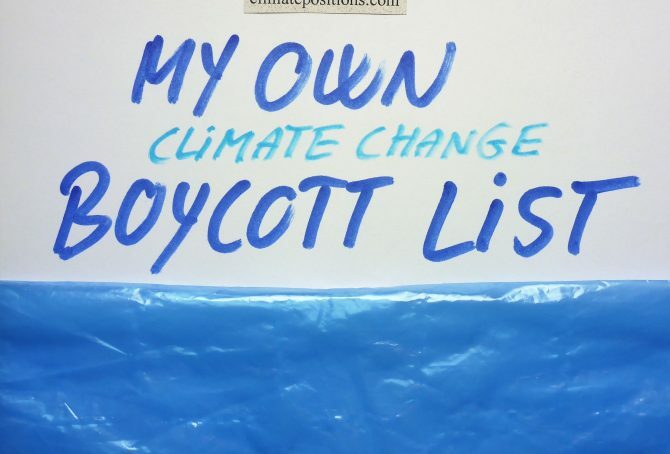 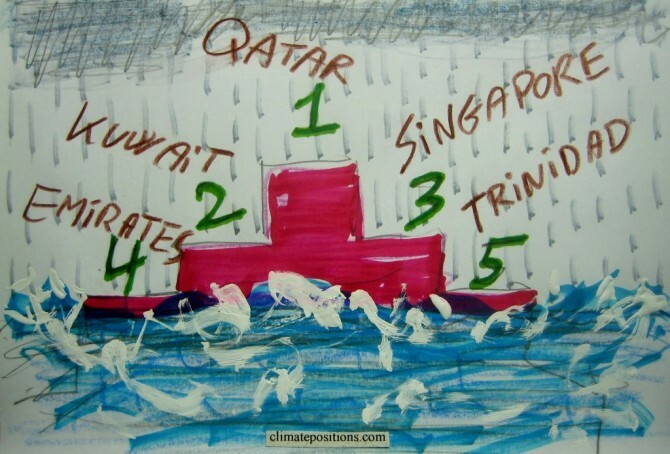 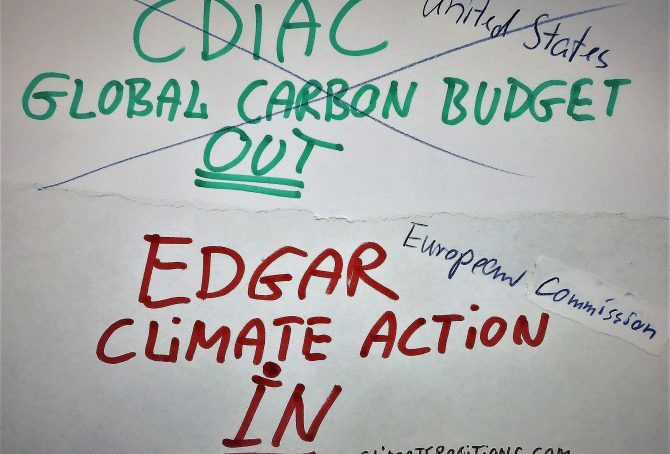 Climate Debt: Kuwait ranks 2nd … however, soon with “cleaner” fossil fuels!? 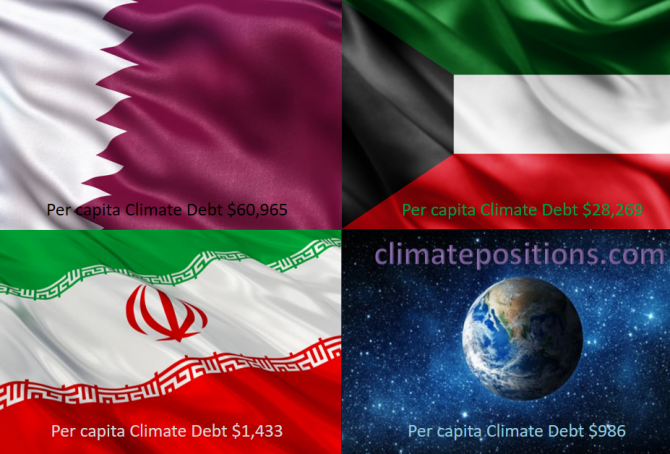 The current Kuwaiti Climate Debt, accumulated since 2000, is $26,347 per capita and the ‘Ranking’ is 2nd among 148 countries. 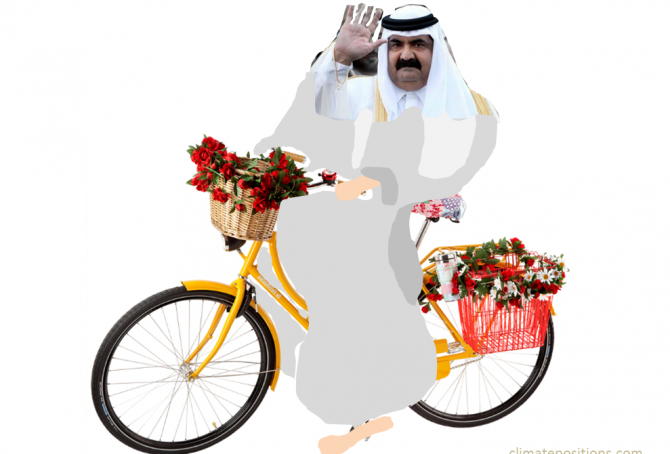 However, the extremely wealthy authoritarian oil state plans to generate a “low carbon economy” by creating “refinery alternatives with lower emissions and produce cleaner fuels” … according to a Google translation of the COP21 Submission 2015, written only in Arabic, Kuwait claims to be a developing country and consequently it expects developed countries to pay for its climate change mitigation, technology transfer etc. 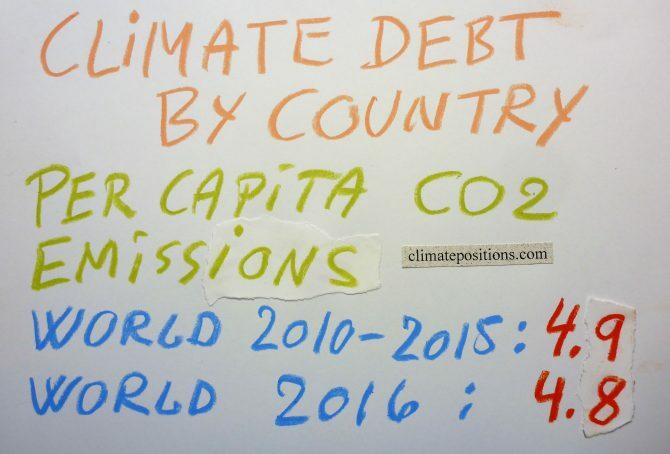 All this is of course greedy nonsense and inconsistent with the collectively agreed “efforts to limit the temperature increase to 1.5°C.” Seriously, the Kuwaiti problem is this: Around 61% of all known extractable gas reserves in Middle East and 38% of all known oil reserves will have to stay in ground beyond 2010 if global warming is to be limited to 2°C¹. 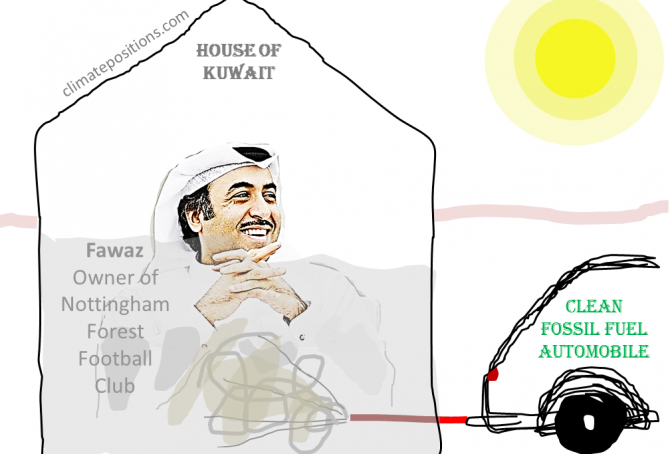 Once a schedule for such a genuine low carbon economy is on track, Kuwait might again become a developing country with reasonable funding wishes. 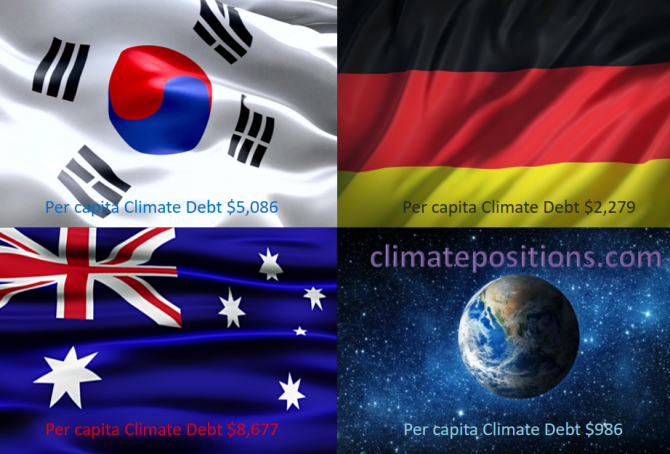 The following examines Kuwait’s CO2 Emissions, Environmental Performance, GDP(ppp-$) and Climate Debt.